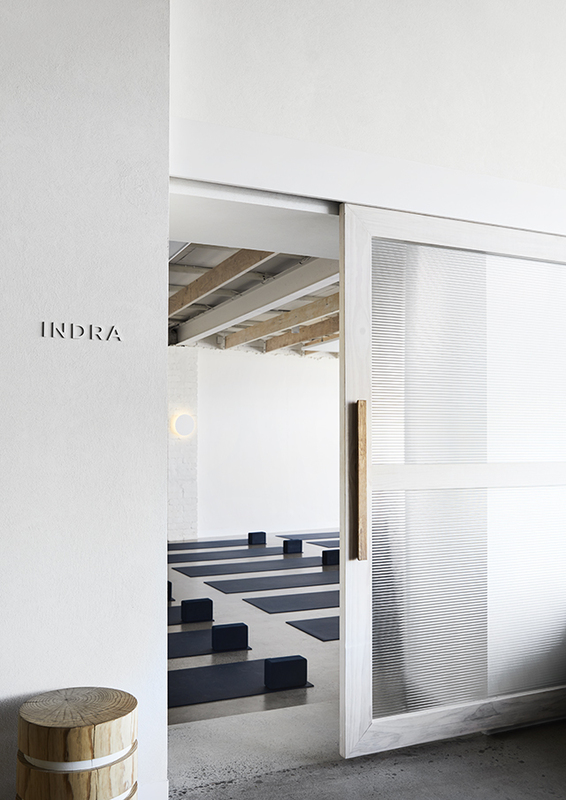 Award-winning interior design practice Golden has recently added a new yoga studio to their incredible body of work. 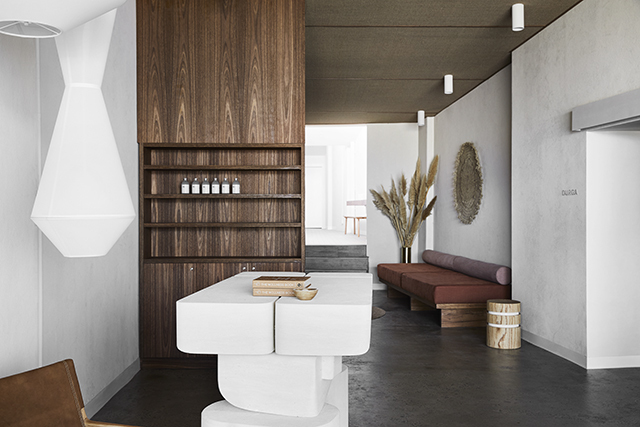 Inspired by the client’s deep connection to the ocean and a desire to create an organic, sensory experience for guests, Warrior One is a transportive yoga studio located in bayside Melbourne. 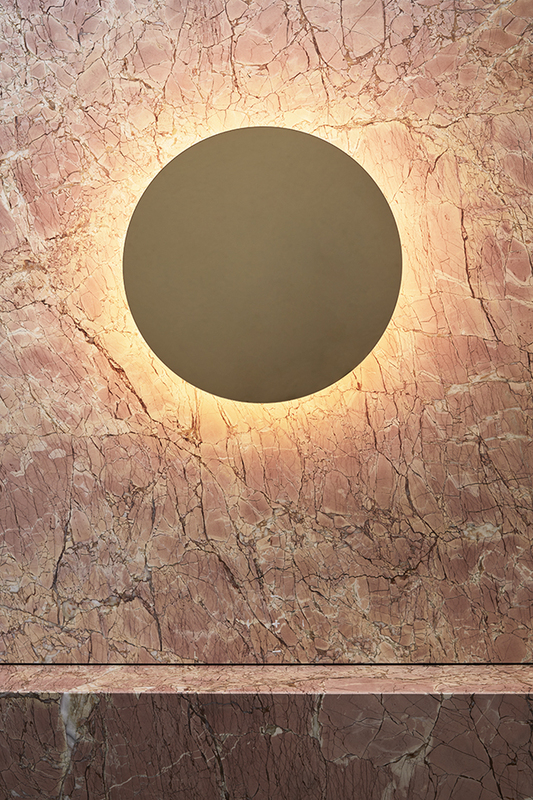 Golden's meticulous approach to the tactile and the emotive makes this the perfect collaboration. 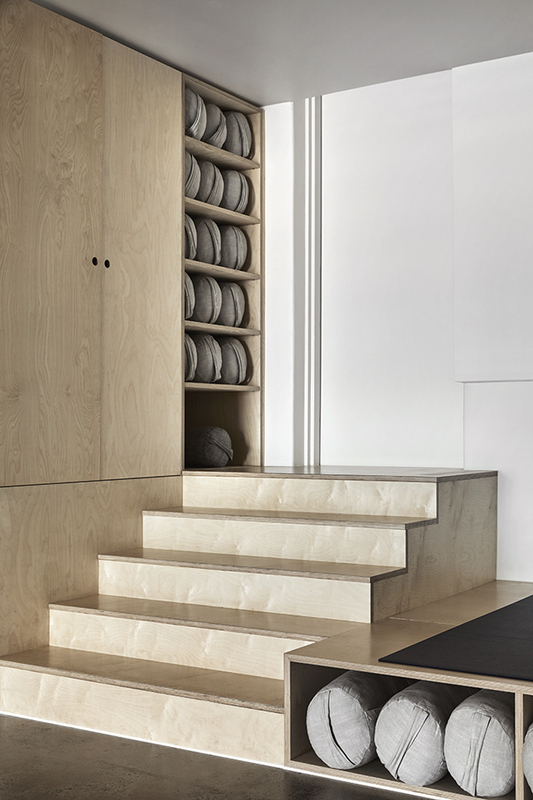 Driven by the studio’s belief in a holistic approach to wellbeing, a calming entrance sets the tone for a textural exploration of materials. 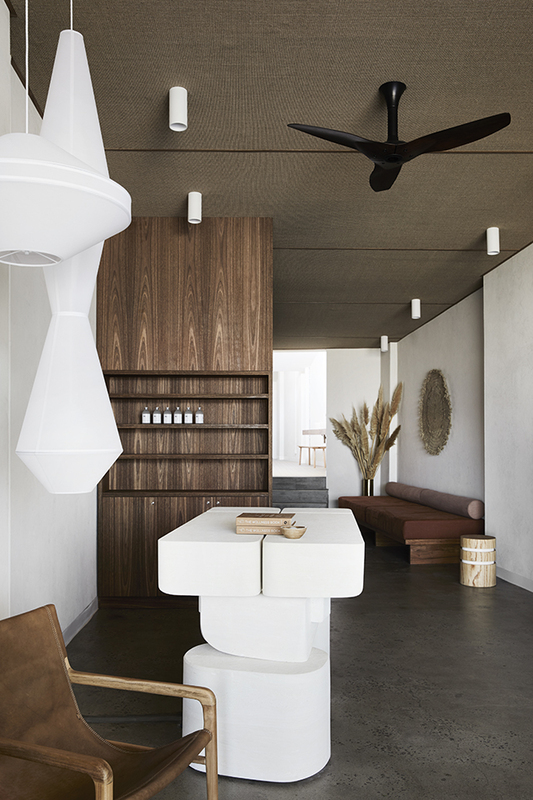 The welcoming space features a sisal carpet uniquely applied to the ceiling and an eye-catching custom counter by Melbourne stonemason and artist Den Holm. 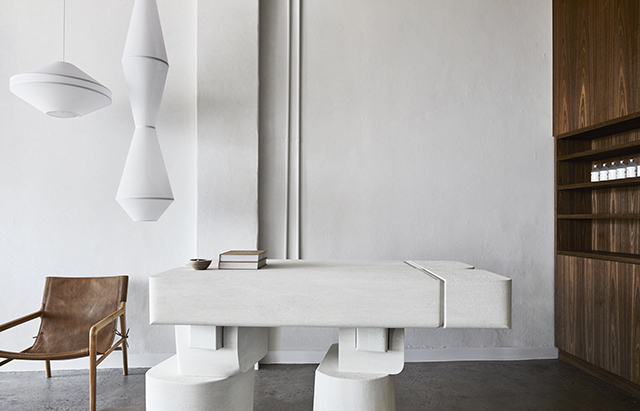 Known for creations that are a mix of art and furniture focusing heavily on texture and form, the bespoke design typifies what is a physical manifestation of sophisticated, contemporary coastal culture. 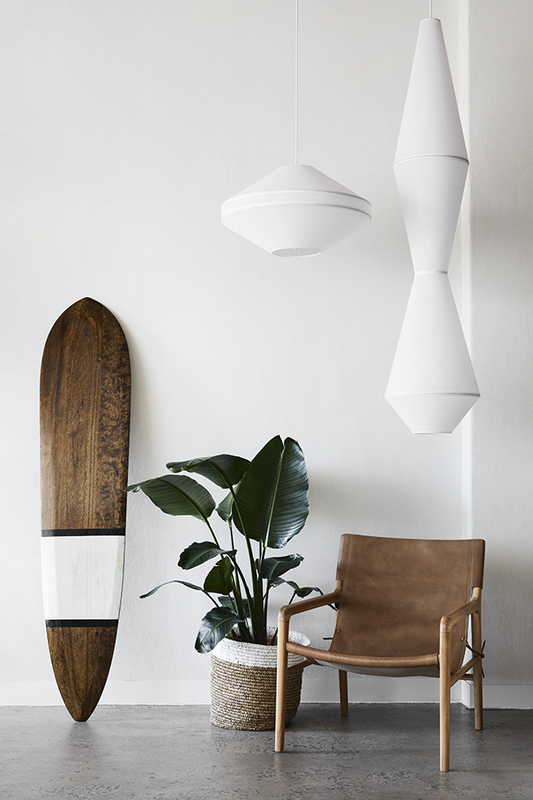 Distinctive and delicate, the Mayu pendants by Coco Flip bring further allure with their striking sculptural forms. 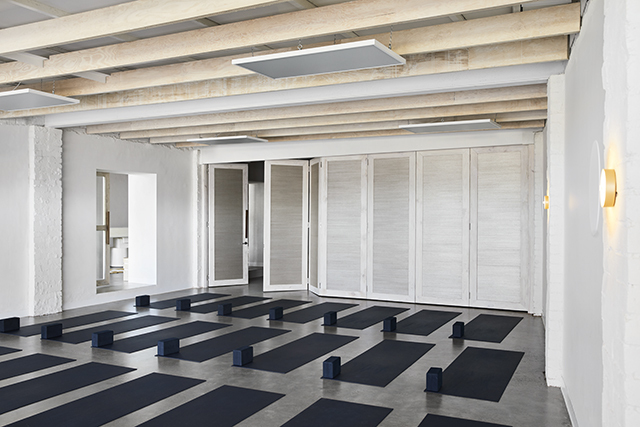 Expansive fluted-glass sliding doors filter daylight into the first of two yoga studios, divided by custom bi-fold doors detailed with wallpaper and solid oak. Integrated joinery provides a platform for the instructor whilst cleverly concealing equipment, and architectural hardwood beams overhead create subtle rhythm. 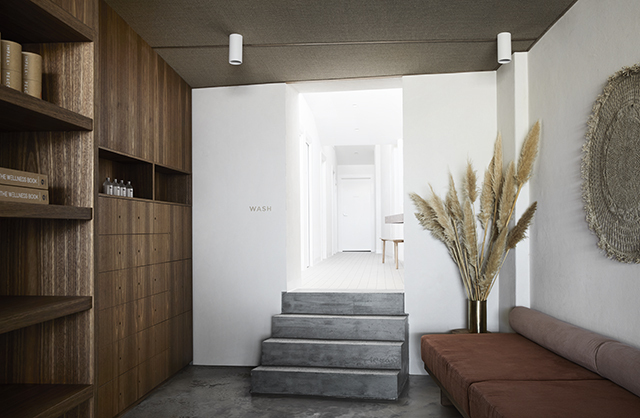 A hand-textured wall enhances the sense of raw and organic, completing the inspiring space. 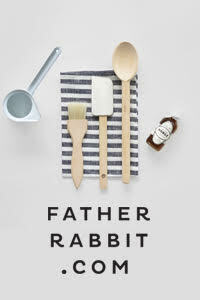 Elsewhere, guest amenities and change rooms further the notion of a calming retreat. 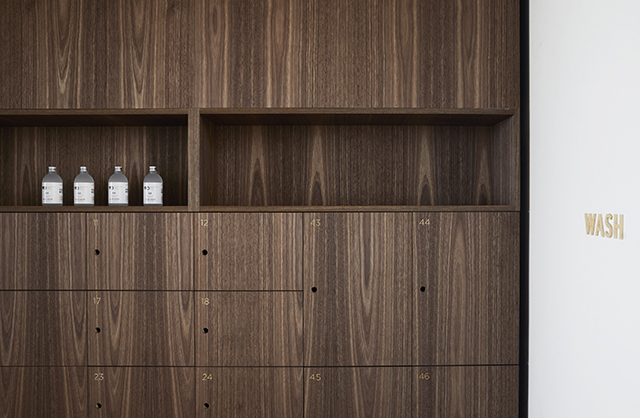 Joinery imagined in warm walnut timber-veneer is designed to house personal belongings, while custom day beds encourage moments of quite reprieve. 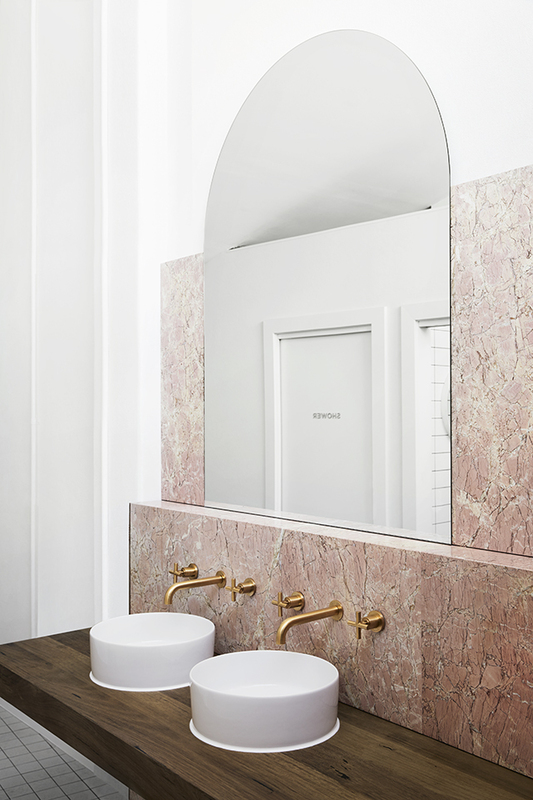 The adjacent bathrooms make a bold statement with vast swathes of pink marble, while contrasting brass fixtures bring a sense of quiet indulgence. 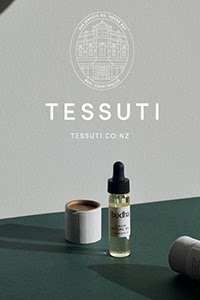 Materials that are reflective of a space designed for transcendent experiences, the overall feel is one of pure tranquillity. Such a soothing and harmonious space, Warrior One will soon be complemented by an equally inspired café, also designed by Golden and due for completion in late 2018.